Call Center Solutions and Advanced Call Centers dramatically increases outbound telemarketing center and contact center productivity. The image of row after row of telemarketers calling consumers, desperately trying to persuade them to purchase a product or service is the common perception of most call centers. Unfortunately, too many call centers today still operate in this environment. Using even modern predictive dialers still does not relieve the cost and stress of trying to promote a product or service. Although many telemarketers use different introductions or gimmicky approaches and techniques, consumers are getting wary and tired of this type of selling. And after a long shift, the enthusiasm and morale of an outbound telemarketer wanes significantly. The quality of the message delivered to the last prospect of the shift is generally not the same as was delivered to the first prospect of the day. Plus a call center can only contact as many prospects as can be handled by the number of agents in the center. Even predictive dialers only eliminate busy signals, no answer and answering machine calls. However, since well over 90% of cold calls are made to uninterested parties, telemarketers spend most of the day handling "No Interest" calls. 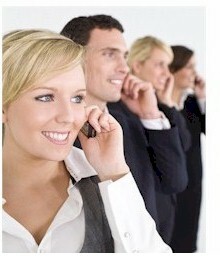 Now imagine having a call center with ALL of your telemarketers talking ONLY with interested prospects. With products and technology from Database Systems Corp. this type of advanced call center is now a reality. By letting your phone system do more work and qualification of your called prospects, your call center agents can spend more productive time selling and promoting rather than just trying to keep a prospect on the line. Prospects can now be called and introduced with a consistent, professional message. Your call introduction will be a clear, concise message that YOU want to present. Fewer agents can now process far more calls in this new call center. 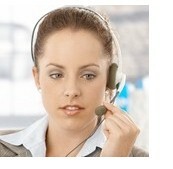 You can hire call center agents that can work from your center or from home. Recruiting telemarketers into this environment is much easier. 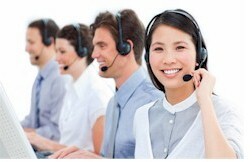 Call centers can become as much as 10 times more productive using this smart and professional marketing approach. Calling campaigns that take days or weeks to perform can now be accomplished in just hours! The advanced call center will be far more productive and cost effective. By letting technology unburden routine tasks, your center will be capable of assuming any type of call campaign at a lower cost. The following features of this call center of the future are available NOW from Database Systems Corp. Call campaigns with voice messaging - Let our phone system qualify prospects or introduce your product or company BEFORE transferring to your agents. Messages can be left on answering machines as well. No more dropped calls, plus your message can properly identify your organization and products conforming to proposed FTC regulations. Call center agents working from home - Now your call center agents can work from home, from remote offices or at your call center. Using the Web, our technology can connect calls with your agents, no matter where they are. Professional inbound call processing - Inbound calls can be professionally answered using our intelligent IVR and call routing features. Information can be easily given to callers without ever having to speak with an agent. Of course, we can still intelligently route calls to different agent groups and do outside call transfers. Flexible dialing programs - Our PACER phone system can perform just about any type of dialing, from simple auto dial, progressive dialing, predictive dialing, and of course our message dialing - whatever your calling campaign requires. Fully automated contact management - Our award winning CRM software system, Telemation, is our flagship product. Installed in all different types of call centers, Telemation can manage your call center information and provide it in a timely manner to your agents. Telephony links to corporate applications - To further increase the productivity of your call center, calls can be launched from the PACER dialer and connected to your agents using our computer telephony software. Existing PC, Linux, or Web applications can be fully integrated into our call center products using this CTI software. Online administration and reporting - Products from Database Systems Corp. include a comprehensive online reporting system plus the ability to customize reports and graphs to your specific needs through our phone software. All of these advances in call center productivity are available with our PACER Smart Message Dialer andcall center software. The PACER dialer dials from a list of prospects and when contact is made with an individual, our dialer plays a pre-recorded message introducing your organization, product and service. If the party is interested, a message can be played indicating how to contact your organization or the individual can simply "Press 1...." to be connected immediately to one of your call center agents. Now calls that come to your telemarketers are only individuals who have listened to your promotion and would like to hear more. Another advanced feature of the PACER phone system is its ability to not only detect answering machines, but to leave a pre-recorded message on this machine. Statistics have shown that an individual is 2 to 3 times more likely to respond to a marketing message left on an answering machine than to respond to a mailer. Most traditional predictive dialers just discard these calls or at best, schedule this number to be redialed later. These dialers are ignoring the potential of getting additional leads and business by leaving a targeted message. DSC now offers an affordable and expandable call center phone system with voice broadcasting (VB). Using analog lines, this phone system is ideally suited for an entry level call center. Our 4 line auto dialing system includes voice message broadcast software or comes optionally with our comprehensive software development toolkit. 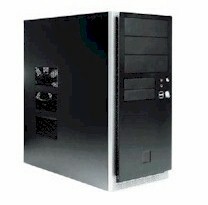 You can program your own system or we can provide you with a custom application. This program can be easily ported to our digital T1 phone system (PACER) when your call volume requires a larger system. An added benefit of our smart call center technology is that calls initiated by our dialer can be routed to your employees anywhere in the world. All an agent needs is internet access and a phone line. You can manage your workforce from a central location, from remote offices, or even from YOUR home. Our PACER phone system, combined with our CRM application software and computer telephony products, fully supports remote agents and work at home employees. Now your employment base can be significantly expanded with the addition of work at home employees. The economic savings and environmental advantages are significant. To obtain additional information about our remote agent capability, please view our Remote Agent page. Delivering calls to your employees is just the start. Managing customer or prospect information is key to operating an effective contact management center. Features such as order entry, call backs, literature fulfillment, call disposition and customer help desk functions are just a few of the applications that are available. Using our development toolkit, custom applications can be developed quickly and brought online in your call center environment. New features and applications can likewise be developed quickly and economically. TELEMATION is a customer relationship management (CRM) application that is ideally suited for outsourcing projects and telemarketing center applications. This award winning application is employed in a wide variety of organizations including contact centers, help desks, customer service centers, service bureaus, reservation centers and corporate call centers. The package has extensive CTI features and is fully integrated with our PACER phone system. TELEMATION operates on Linux, Unix or Windows servers. Software programmers can develop telemarketing center applications quickly using the robost features found in the Telemation toolkit. Companies such as Verizon Wireless, Advanta Mortgage and Chase Manhattan are just a few of the organizations who have relied upon TELEMATION to handle their call center CRM requirements. The PACER phone system is far more than just an autodialer and outbound telemarketing and call center phone system. The PACER has complete inbound call distribution capability including its own ACD system and an optional IVR system. Callers can be prompted to enter an account number, type of service required, etc. 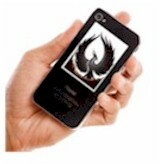 and PACER will provide the requested information or transfer the caller to the appropriate service agent. The PACER can blend all of these tasks together, making your call center a complete and powerful contact center. 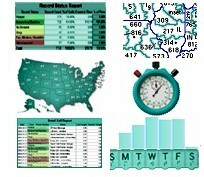 Reports can be obtained quickly and easily, giving you an accurate and timely view of your call centers operation. Plus all or selected inbound and outbound telemarketing center calls can be recorded for quality assurance and legal purposes. Database Systems Corp. is a leading provider of advanced call center technology including our PACER phone system and contact center software. We are ideally positioned to provide your organization with the service and systems required to handle your outbound telemarketing and call center needs. The systems that we develop for you under our outsourcing program can be easily installed at your facility when your growth demands an in-house solution. This "Try Before You Buy" program gives you the opportunity to launch telemarketing programs quickly, and the more successful the program, the easier it will be to justify an in-house solution. 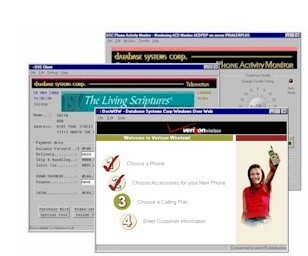 Database Systems Corp. has prepared full length presentations of its Call Center and telecommunications products that you can easily download and view. Included are several different demonstrations of application development tools, contact center and CRM campaigns, and a presentation on our call center phone system (PACER). This presentation describes PACER's robust features plus a tutorial on predictive dialing. Also included is a presentation on remote agents and web capabilities. Simply click on the graphic image to your left to download and view our Product demonstrations. Contact DSC to learn more about our call centers and telemarketing call center solutions.